Gorgeous! 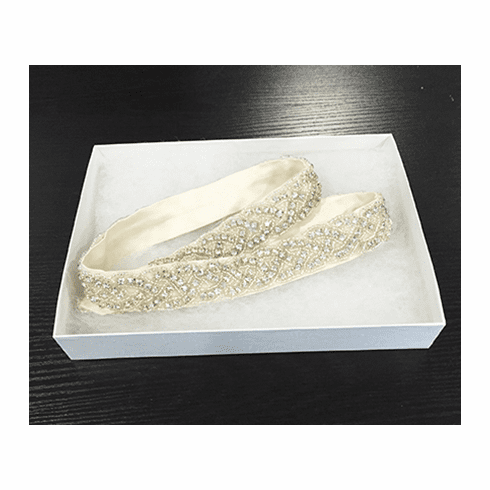 Custom made bridal belt. Crystal and bead trim hand sewn on Duchess 100% silk satin. Ties in the back at your waist for a perfect fit. The Studio is open for Retail Shopping!